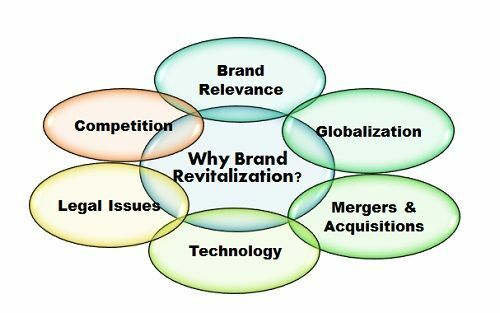 Definition: The Brand Revitalization is the marketing strategy adopted when the product reaches the maturity stage of product life cycle, and profits have fallen drastically. It is an attempt to bring the product back in the market and secure the sources of equity i.e. customers. Example: Mountain Dew, A Pepsi product, was launched in 1969 with the tagline “Yahoo Mountain Dew” that flourished in the market till 1990. After that the sales of mountain dew declined due to which it was re-positioned, its packaging was changed, and the tagline was changed to “Do the Dew”. It targeted the young males showing their audacity in performing the adventurous sports. This led the Mountain Dew to the fifth position in the beverage industry. Despite a good reinforcement strategy, a product has to be revitalized because of some uncontrollable factors such as competition, the invention of new technology, change in tastes and preferences of customers, legal requirements, etc. Increased Competition in the market is one of the major reasons for the product to go under the brand revitalization. In order to meet with the offerings and technology of competitor, the company has to design its brand accordingly so as to sustain in the market. The Brand Relevance plays a major role in capturing the market. The brand should be modified in accordance with the changes in tastes and preferences of customers i.e. it should cater the need of target market. Nowadays Globalization has become an integral part of any business. In order to meet the different needs of different customers residing in different countries the brand has to be revitalized accordingly. Sometimes Mergers and Acquisitions demand the brand revitalization. When two or more companies combine, they want the product to be designed from the scratch in a way that it appeals to both and benefits each simultaneously. Technology is something that is changing rapidly. In order to meet with the latest trend, the companies have to adopt the new technology due to which the product can go under complete revitalization. Some Legal Issues may force a brand to go under brand revitalization such as copyrights, bankruptcy, etc. In such situations, the brand has to be designed accordingly, and the branding is to be done in line with the legal requirements. The Usage of a product can be increased by continuously reminding about the brand to customers through advertisements. The benefits of the frequent use of a product can be communicated to increase the consumption, e.g., the usage of Head & Shoulders on every alternate day can reduce dandruff. The untapped market can be occupied by understanding the needs of the new market segment. The brand revitalization can be done to cater to the needs of new customers, e.g. ; Johnson n Johnson is a baby product company but due to its mild product line the same can be used by ladies to have a soft skin and hair. The brand can be revitalized by entering into an entirely New Market. The best example for this is Wipro, who has entered into a baby product line. Another way of getting the brand revitalized is through the Re-positioning. It means changing any of the 4 P’s of marketing mix viz. Product, price, place and promotion.The best example of re-positioning is Tata Nano. On its launch, it was tagged as the “cheapest Car” that hurt the sentiments of customers, and the sales fell drastically. To revive the sales, the new campaign was launched “Celebrate Awesomeness” that re-positioned its image in the minds of the customer. A brand can be revitalized by Augmenting the Product and Services. The company should try to give something extra along with the product that is not expected by the customer. Some additional benefits can revive the brand in the market e.g. A plastic container comes with a surf excel 1 Kg pack that can be used for any other purpose. The brand can be modified through the Involvement of Customer The feedback about the product and services can be taken from ultimate consumer and changes can be made accordingly. Customer’s involvement is best seen in service sector wherein feedback forms are filled in at the time of availing the services such as hotels, restaurants, clubs, flights, trains, etc. This shows that brand revitalization is an essential to the success of any product. The firm takes all the necessary steps to keep its product very much alive in the market.